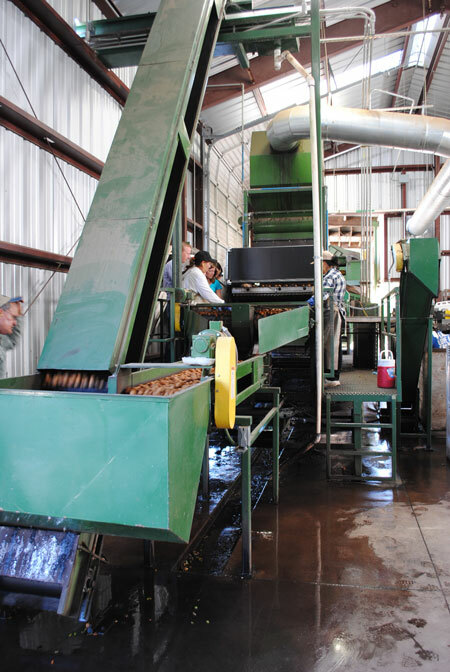 A few weeks ago, I was fortunate to be invited to the 2014 California Walnut Harvest Tour. 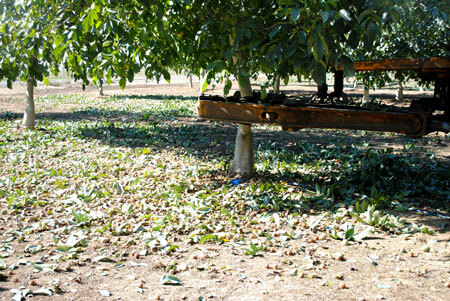 I flew to Sacramento, California, looking forward to a fun day filled with all things walnut. While the trip there was crazy (delayed flight, missed connection & 4 airports later! ), the tour was so worth the travel pains. 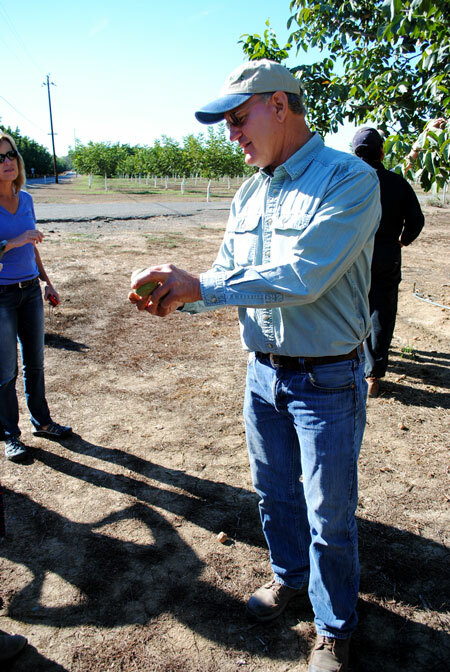 I was only there for about 34 hours total, but I had an absolute blast learning from one of the walnut growers and meeting new friends. 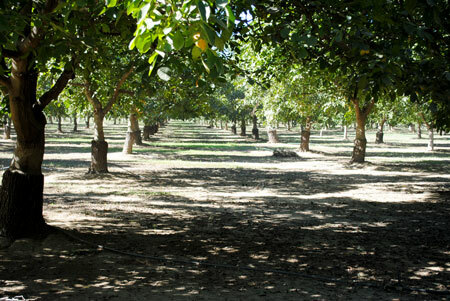 I pretty much want to pack up and move to California and grow walnuts! 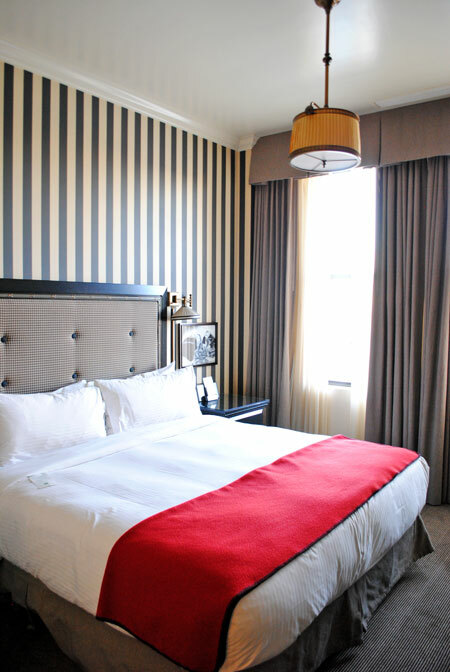 When I finally landed, I was whisked away to The Citizen Hotel in downtown Sacramento. I was so exhausted from traveling all day, I couldn’t wait to check in. My room was on the 10th floor and just perfect. When I arrived, I had a cool swag bag waiting for me. 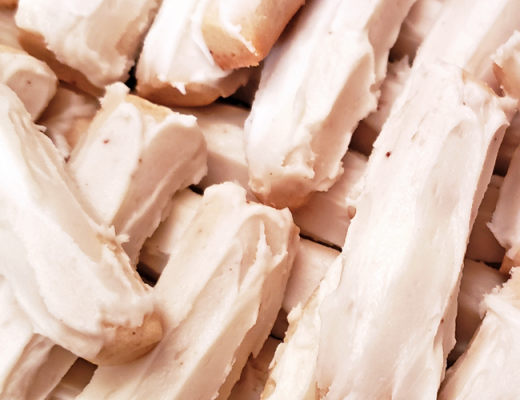 Walnuts, walnut fudge (hello! ), a silver walnut box, and a sweet note. My room was cozy, yet big enough for a king-sized bed, armoire, desk, and TV mounted on the wall. 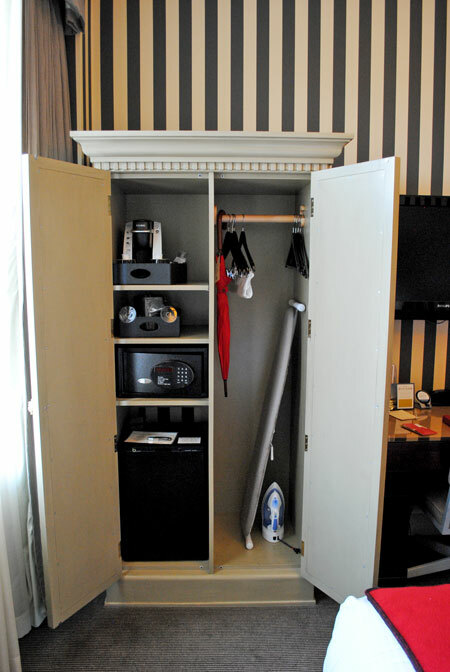 Inside the armoire is a Keurig coffee maker, fridge, safe, and all kinds of amenities. I still had plenty of room for my clothes. 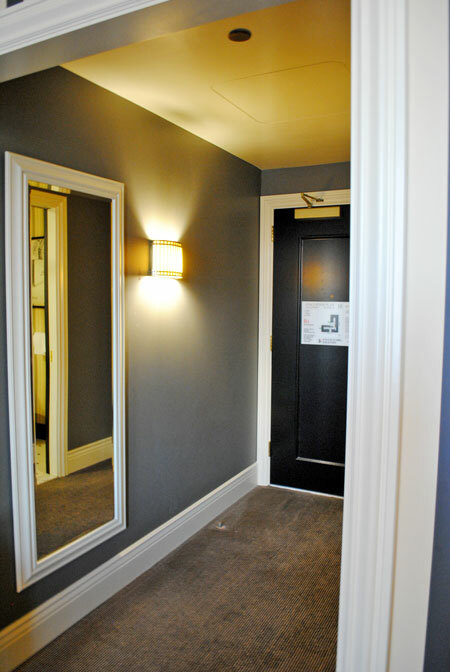 There’s a small hallway from the door to the room with a huge, full-length mirror (where I got my fashion selfies on!). The bathroom was small, but really efficient for just me. 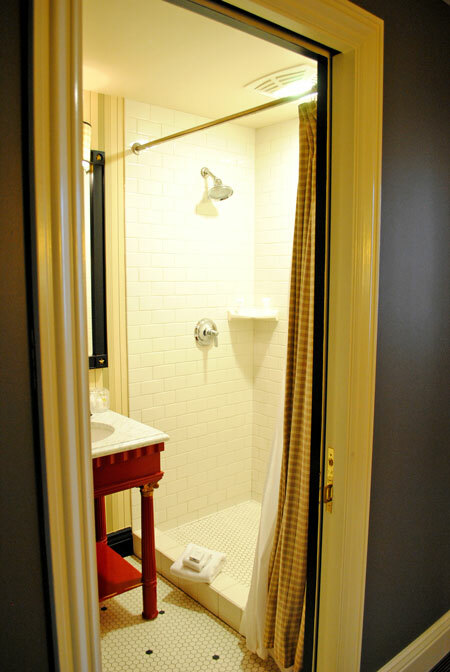 I loved the huge walk-in shower. It had one of those big shower heads and was well-needed after a full day on the ranch. After I unpacked and crashed for the night, I couldn’t wait to meet everyone going on the tour for breakfast the next morning. 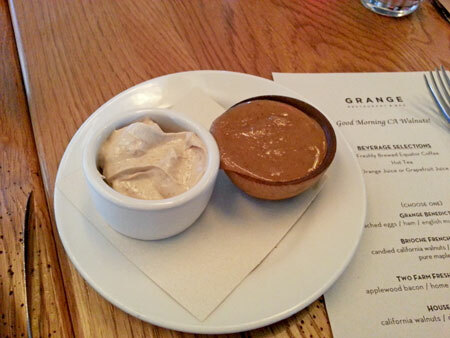 We all met in the Grange Restaurant & Bar located in The Citizen Hotel. They gave us our own special menu to choose from, including walnuts! 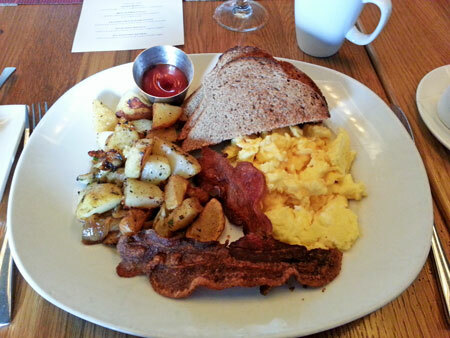 It was really hard to choose, but I went for the Two Farm Fresh Scrambled Eggs with applewood bacon (extra crispy! ), home fries, toast, California walnut butter, and whipped butter with walnuts. I wish I could start my day with this everyday! After breakfast we took about a 30-minute drive to Rio Oso, California, to visit the Norene Ranch. 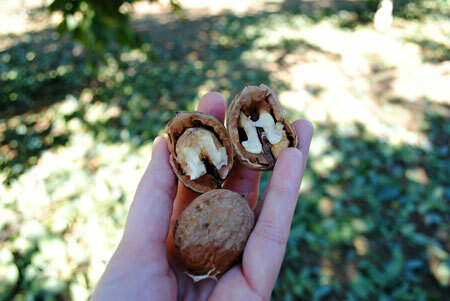 It took me about two seconds after stepping foot in their walnut orchard to completely fall in love. It’s gorgeous out there! 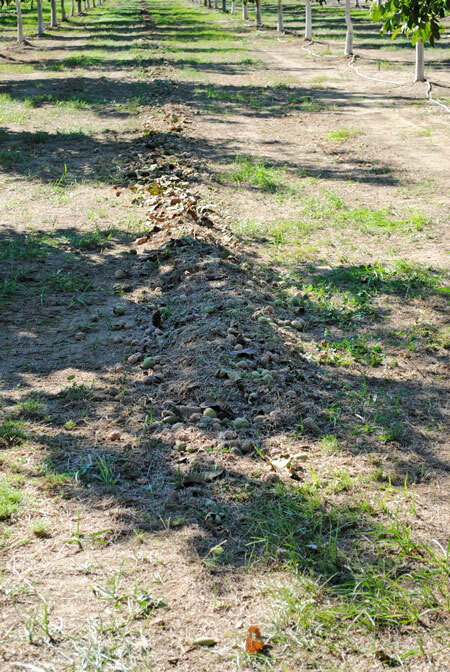 Acres and acres of walnut trees. 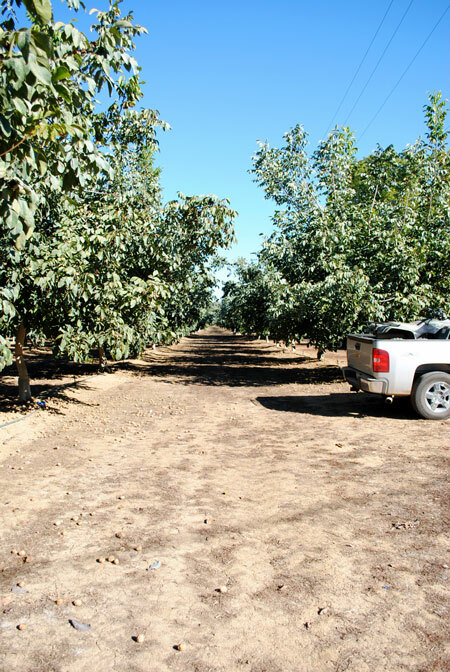 I was really rethinking my life choices, especially picking a career sitting behind a desk when I could be growing walnuts, ha ha! My favorite part of the the trip was watching them shake the tree to get the walnuts to fall out. They have this truck that has two “arms” on the end and it grasps the trunk of the tree and shakes it like crazy. It looks like it would damage the tree and you can really feel the ground shaking, but it’s perfectly safe. 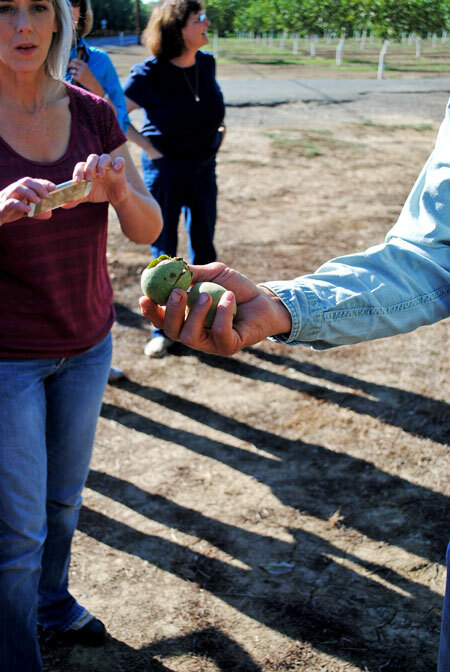 Mr. Norene talked with us about the hull and showed us how to crack open a walnut using a second walnut. 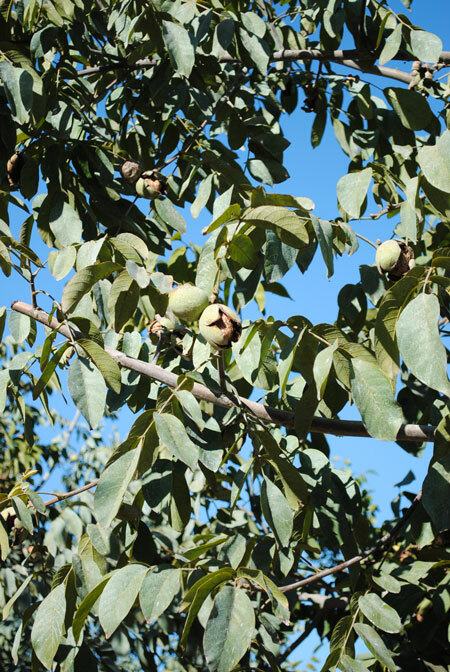 Nothing like eating walnuts straight from the tree! 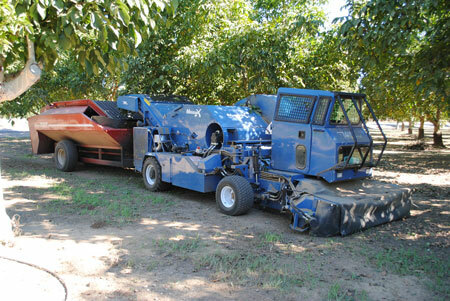 Once the walnuts are on the ground, another truck comes through to sweep them into a row. Next they’re picked up and taken to be cleaned and hulled. After that they go into huge bins to dry. 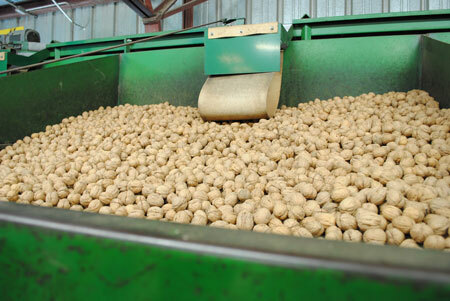 Once dry, they’re taken to a processing plant to be ready for packaging either in the shell or shelled. We got to tour a processing plant, but weren’t allowed to take pictures. 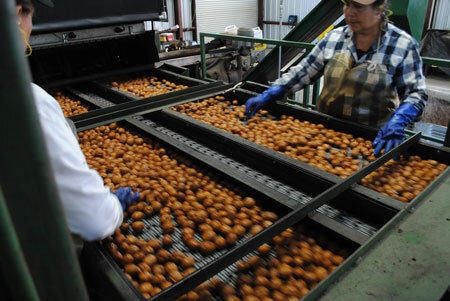 Imagine a ginormous warehouse with walnuts everywhere! It was so clean and efficient. 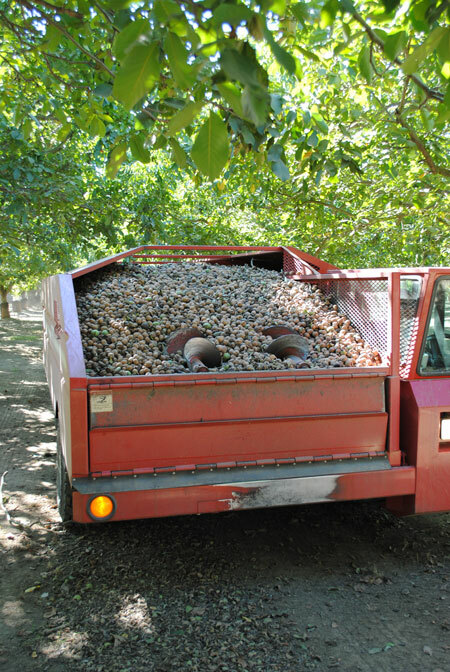 What blows my mind is that 99% of walnuts in the U.S. come from California. 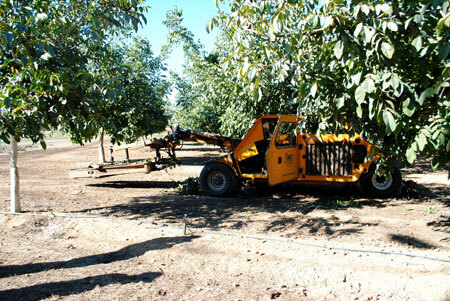 California is also the second largest producer for the the world, with China being first. 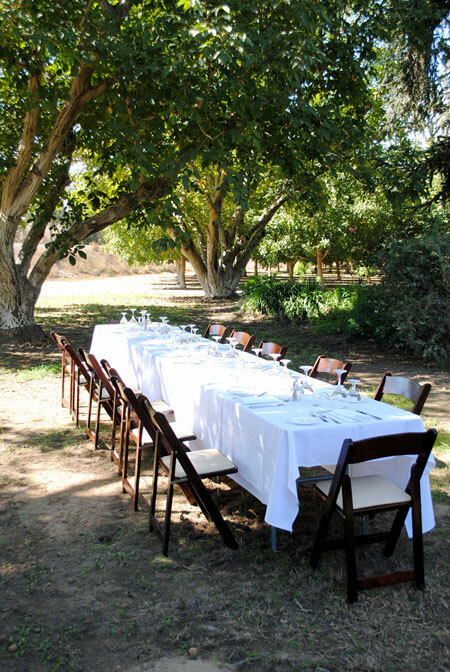 In between touring the orchard and the processing plant, we were treated to the most fantastic lunch…right in the middle of the orchard! 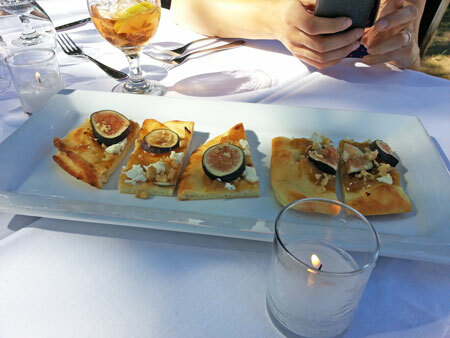 For the first course we had a flatbread with walnuts, fig, and goat cheese. 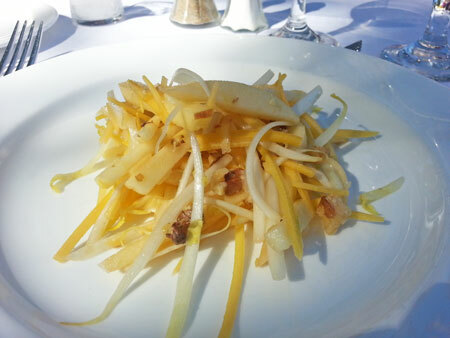 Next was a salad with apples, endive, delicata squash, and walnuts dressed with walnut oil. 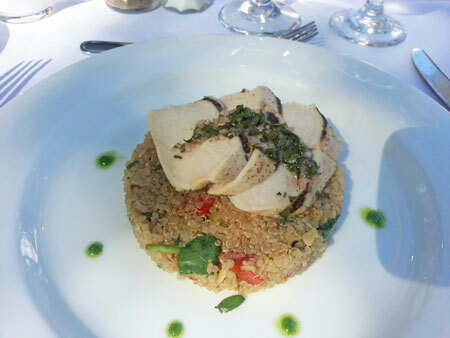 Our entree was a quinoa salad with veggies and chicken with chimichurri (made with walnut oil). 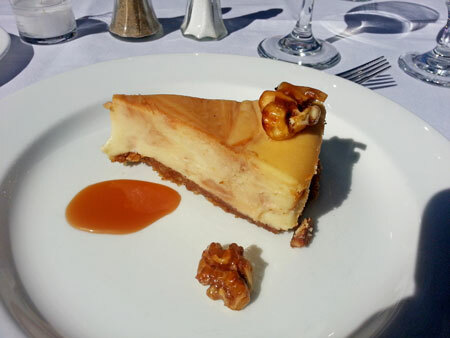 Dessert was cheesecake with a homemade caramel swirl throughout and caramelized walnuts. 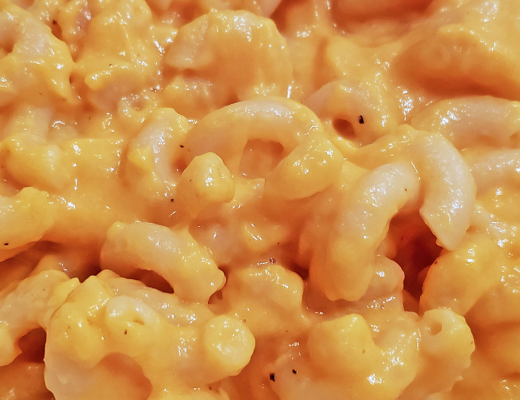 The entire table went ga ga over this. 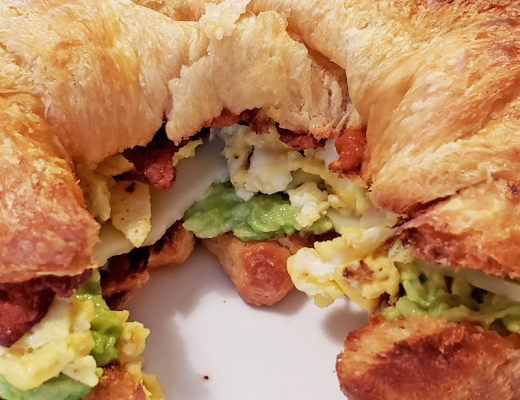 I’m hoping the recipe is coming my way soon because it was incredible! The best cheesecake I’ve ever had. 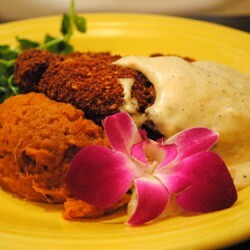 Later that night we had a chef’s demo and dinner at Mulvaney’s B&L. It was really cool because our group mixed with the international group and we got to meet them over family-style dinner. Folks came in from Germany, China, and India! What an awesome experience and it looks like a beautiful location! I love that blogging opens doors to learning about things you never imagined before! It really does! 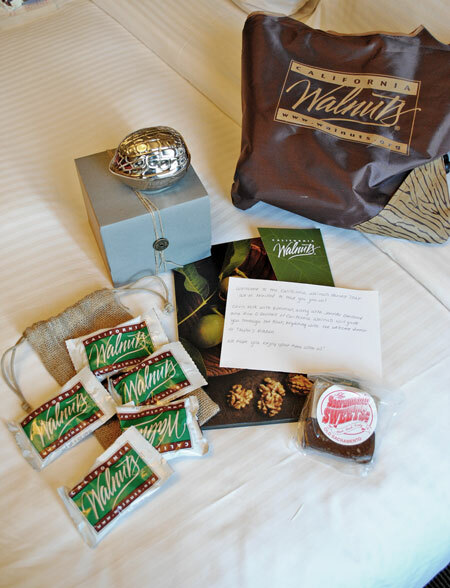 It was so cool to learn about walnuts and meet some other bloggers! How fabulous! Sacramento really is beautiful, an underrated gem – I don’t think a lot of people who visit California go there. I was blown away by the variety of trees. Redwoods next to palms leading to the state capitol? Too cool! Walnuts are so yummy. Can’t wait for the cheesecake recipe. 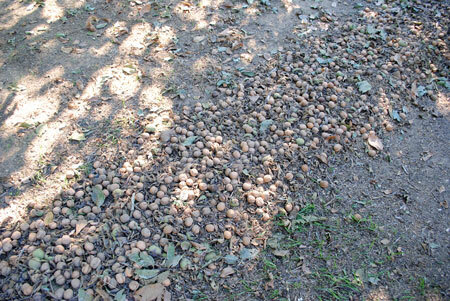 Wow, look at all those delicious walnuts. Sounds like you had a great time. Sounds like you had a blast on the tour, Leah! 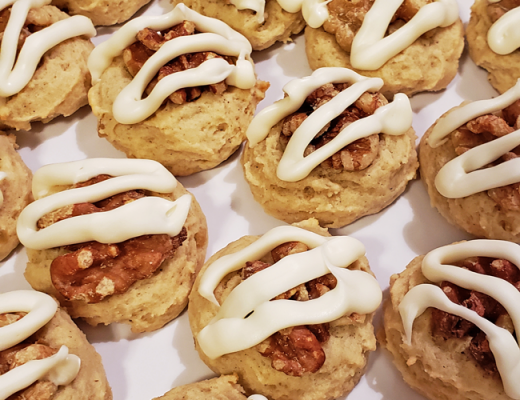 I had no idea they had walnut tours! 🙂 Your pictures are gorgeous! What a fantastic experience, Leah! 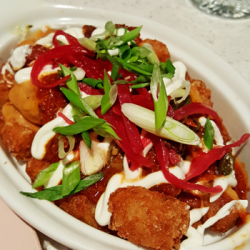 So glad you had a wonderful time on the tour and the lunch looked amazing! I just love posts like this – it looks like you had a great time, Leah. 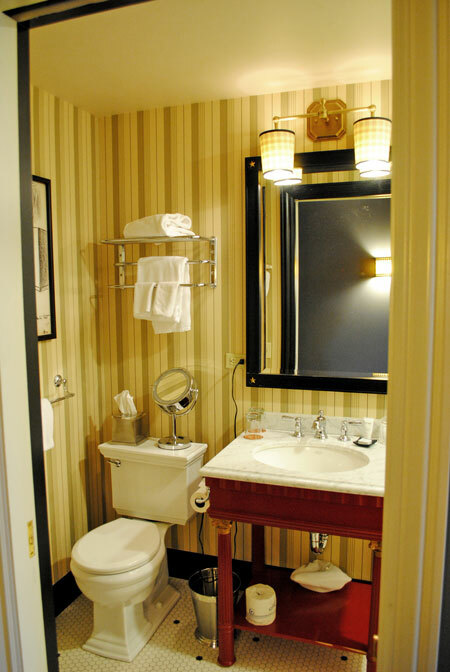 I actually really like your room – I am obsessed with the bathroom tile, ha! 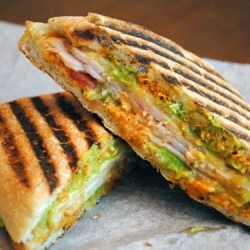 Oh, and the food isn’t bad either ;)! HOW pretty! This all sounds like so much fun. 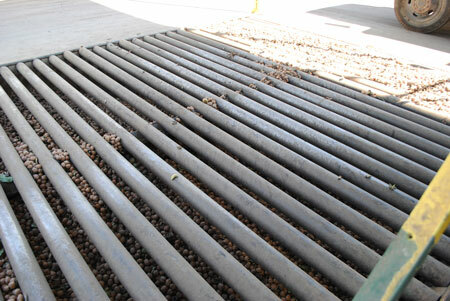 I love going out and finding out the details about how things are processed like this. Hi Leah, what a wonderful tour you went on, how cool to be invited. 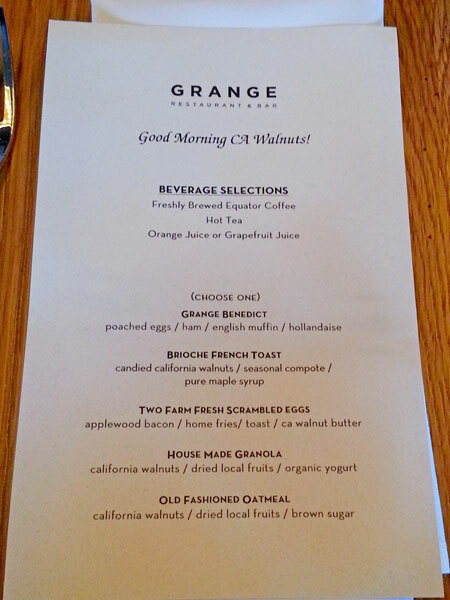 The room looks nice and what a great breakfast menu.